Wareable Tech Awards 2017 nominee LifeBEAM is adding a pretty big new feature to its AI-powered hearable that'll help you up your running game when you don't want to brave the cold. 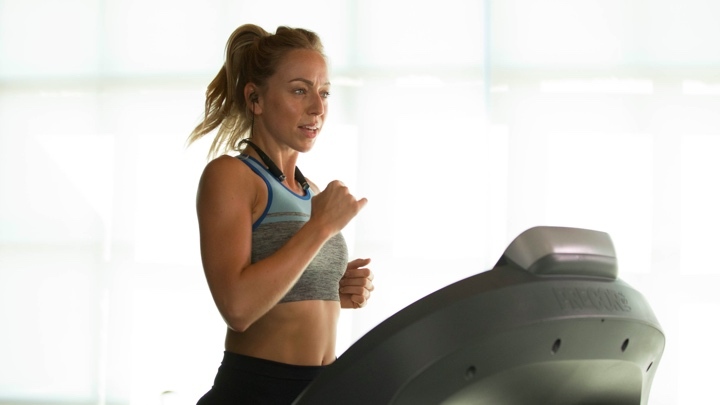 Its sporty headphones can now coach runners indoors with the addition of a treadmill mode that will be available for both iOS and Android users from today. The company says it was the number one most requested feature from the Vi community, and was something we felt needed to be included when we put it to the test. Much like the outdoor mode, it'll take advantage of the onboard heart rate sensor and the ability to track, steps, cadence to offer personalised coaching in real-time. It does sound similar to what the likes of the Moov Now and Intel's Oakley Radar Pace smart specs offer, except LifeBEAM's hearable is very much aimed at running beginners. So it's unlikely to hammer you with grueling interval training sessions. At least from the start. LifeBEAM has also announced that it's launching its real-time coaching wearable outside of the US for the first time. It's going on sale today in the UK for £200 and will be available from Vi's website, Amazon and Selfridges.